Stocks rallied nicely last week as earnings season officially began. Delta Airlines, BlackRock, JP Morgan Chase, Citigroup, and Wells Fargo, were just some of the big names that reported earnings last week. Interestingly, they beat estimates but all traded lower on Friday. Two weeks ago, the bulls showed up and defended important support (200 DMA line) which set the stage for a nice rally into near-term resistance (50 DMA line). On cue, stocks turned lower on Friday as the major indices bumped into their respective 50 DMA lines. For now, THAT is now near-term trading range. Stepping back, longer term resistance is 2018’s high and longer term support is 2018’s low. By definition, until either level is breached we have to expect this new sideways trading pattern to continue. 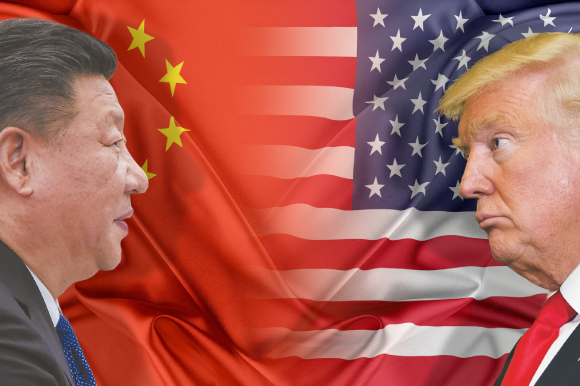 On Monday, stocks opened sharply higher after the U.S. softened its stance on the impending trade war with China. Treasury Secretary Steven Mnuchin said on Sunday he does not expect a trade war between the U.S. and China to take place. It should be noted that two days earlier, Mnuchin told CNBC’s “Power Lunch” that a trade war between the two largest economies was possible. Elsewhere, tech stocks bounced as shares of Facebook, Amazon, Apple and Alphabet all jumped nicely. 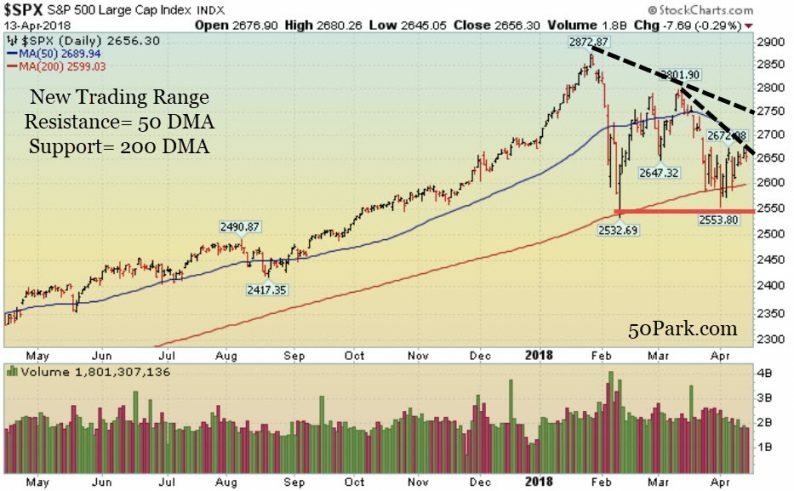 Technically, the bulls showed up and defended the longer-term 200 DMA line which is the first important level of support to watch. The next important level is Feb’s low. But stocks gave back most of their gains before the close when news spread that the FBI raided President Trump’s Attorney’s office.